February Timber Specials? Well, this is the time of year where we are clearing the decks ready for new products and new stocks to come into the yard. We have nearly finished re-organising all three yards to make it easier to naviate. Just a few signs to add and then finalise the new yard maps! Anyway, what about the products? So, all remaining stock of 22 x 150mm (aka Yorkshire Boarding, Weatherboard, Gravelboards etc etc,) at 2.4 metres in length are being sold at £1.00 & VAT per linear metre. Grab some while you ccan. Due to a reduced supply of raw materials, we are now discontinuing the ex. 38mm x 125mm Trade Deckboard. All 3.6m and 4.8m lengths at £1.68 +VAT per linear metre whilst stocks last. 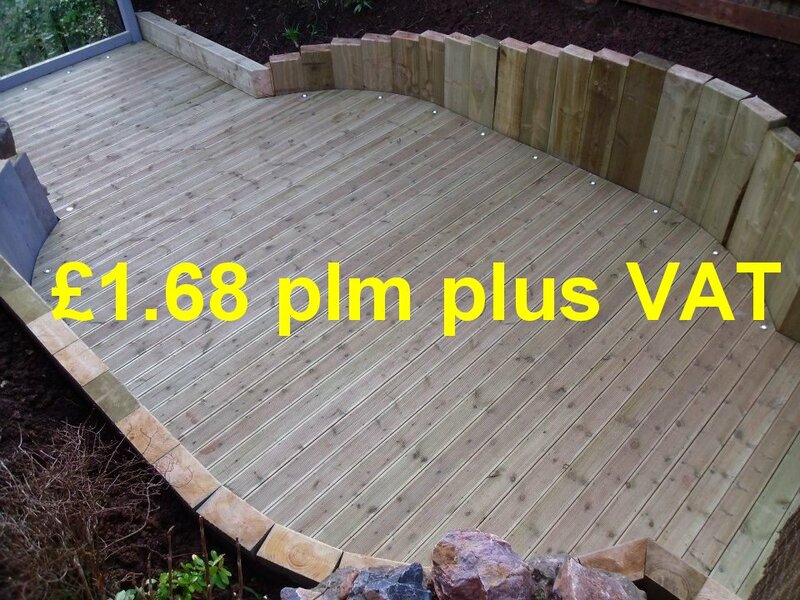 We will continue to stock our ever popular Scandinavian Redwood Premier Deckboards in lengths for 3.0 metres right up to a humungus 6.0 metres. Finally we have other deck-clearing (no pun intended) activities going on. During February we have 20% off all yard stocks of garden furniture -seats, picnic tables, benches and planters to name just a few..